Don't you love it when seeing one image leads you to another and another...basically a crap-load of eye candy? It's the beach home of Stephen Elrod (vice president and creative director of Lee Jofa) which is my new obsession and I needed to see more of his work. 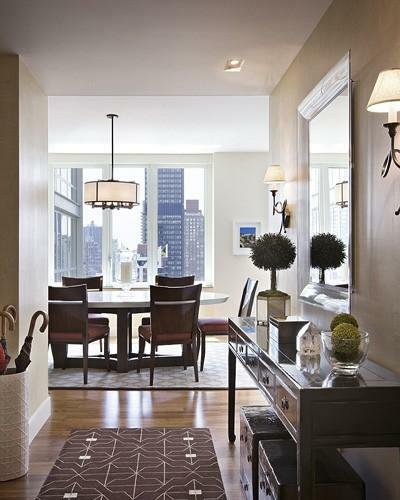 After some searching I found his recently redone Manhattan apartment. 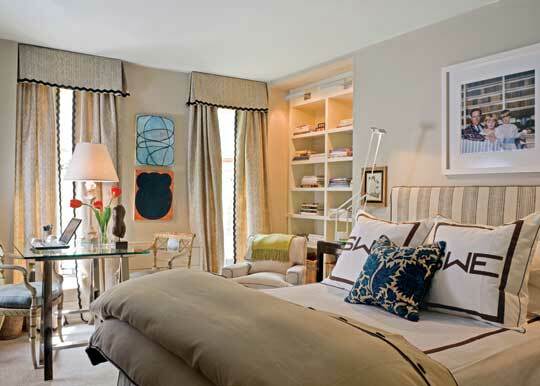 Talk about a recipie for a stylish & comfortable bedroom!! You think if I click my heels three times I can go home and find this bedroom in my apartment? 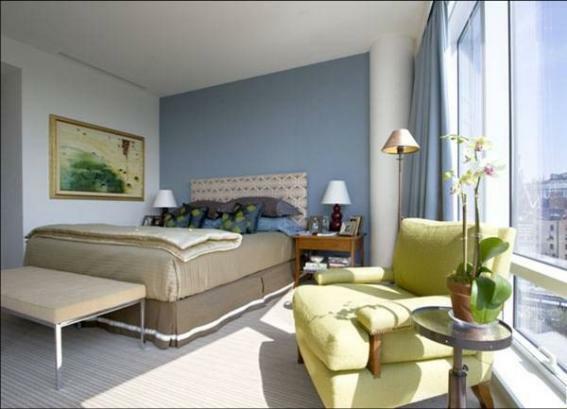 Anywoo, after I finished with my little dream trip I noticed that Elrod had a smidgen of help from designer Eric Cohler for both his Manhattan apartment and beach house. I went straight to Eric's portfolio to inhale more virtual eye candy. Looks like it received a little makeover since the '07 Domino came out. I notice the Indian rug that used to be draped over the headboard is now on the new sofa. Still the same chairs, coffee table, truck art, side table and blinds that I love so much but with a few colorful additions. While I miss the green sofa I think it is still a beautiful space. 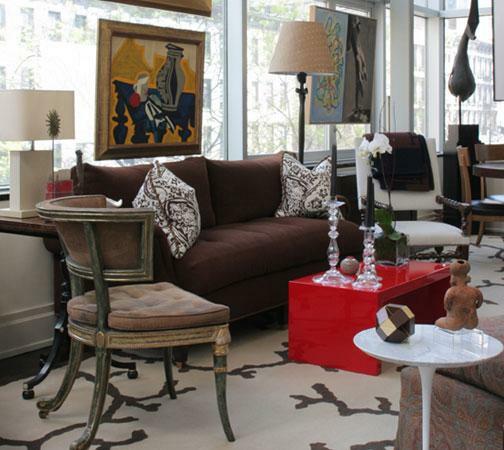 It just goes to show you that if you invest in the right pieces from the beginning (meaning timeless and classic things you love) you can create a whole new look with a little rearranging and some new accessories. Follow the lead of Eric Cohler and Stephen Elrod- they seem to have the right idea. I love that first room. 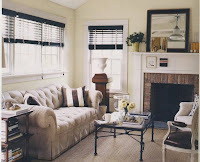 I have a little sitting room off of my kitchen that I would love to do like that. All the rooms are yummy! 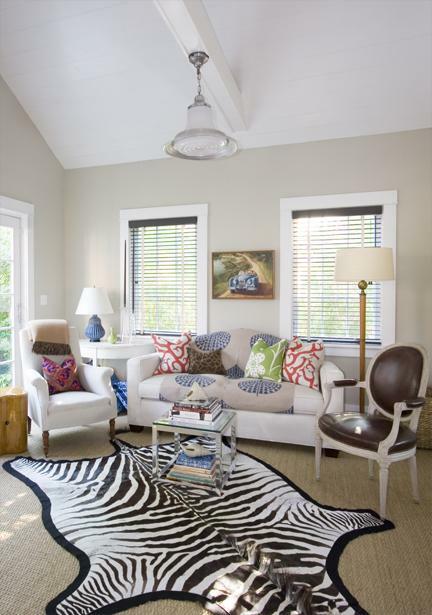 Where have I just seen that zebra shaped rug? It looks so cute! Do you know were one can buy it? I know I have seen it! What a fun trip down the rabbit hole! Thanks for sharing the eye candy. oh yes. i do just looove that stumble upon feeling and it goes out of control to utter love!!!! of everything. which i do. every photo in this post is awesome! 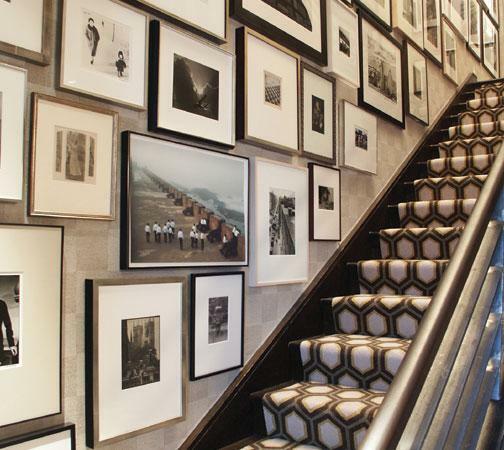 I adore that stairwell with the photo collage and that runner! Excellent finds! The room with the yellow stripes is one of my favorite rooms I've seen in a long, long time! Love seeing rooms switched up like this!! Love them both but I never would have guessed it was the same room!!! I am so glad you did the research on this because we too reap the rewards of such beautiful pictures. I can't believe that is the same room. 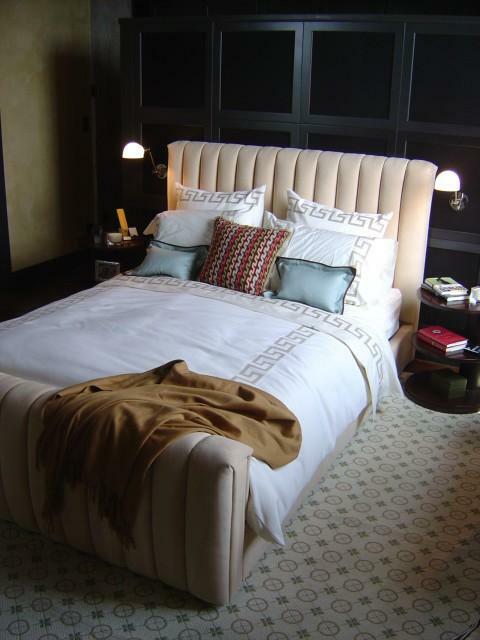 love seeing how rooms evolve and love Cohler. I think I've seen several of his rooms before and really like him! That staircase is one of my top photos of all time! I wonder what he did with the green velvet sofa? I for one, would've been in line! 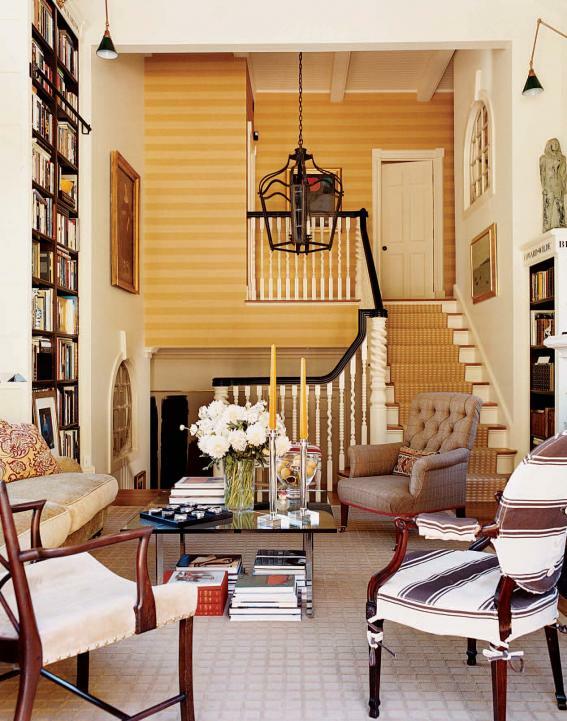 The frame wall and the yellow striped wall are my favorites. What am I saying, I loved them all!! Always love your decorating/design story Linds! this post made me completely giddy! you know how much I have obsessed over his home. ooo I always stop in my tracks when I see a delicious olive sofa. wish I had the guts to get one... but I'm afraid my color preferences change to often! 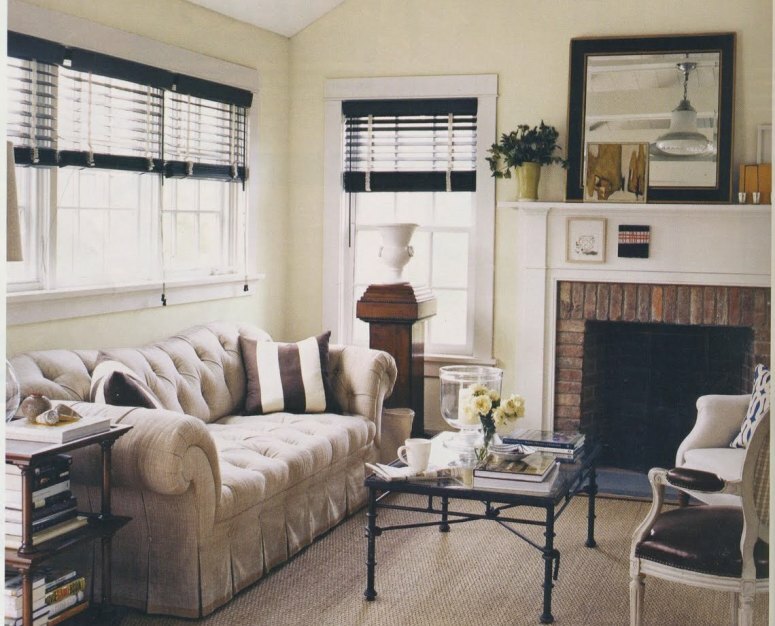 Instead I'm going for a gray sofa and maybe some olive pillows. Wow, they did change things up in that room. Beautiful. I had to look like 4 times to catch this. Way to go, observant person. Lots of great pics on this post! Why can't my house look like that? If only I had the money to bathe my house in Lee Jofa! 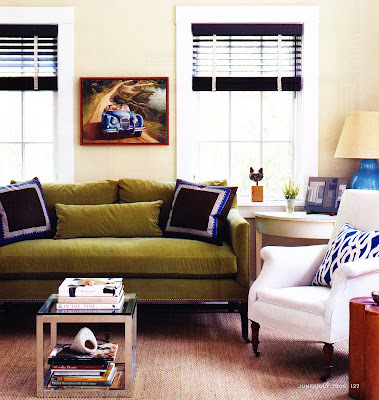 Love the velvet sofa (settee?). One accent piece like that can totally make a whole room, I SO wish I had one. Oh well, a girl can dream, right? these are my favorite kind of days!! so fun and i love it all. I TOTALLY agree with that mentality! Save up for the classic, long-lasting piece and it really will last forever! I saved up for my very first adult purchase - the RH camelback sofa - 7 years ago and never looked back. I know I'll have it forever! 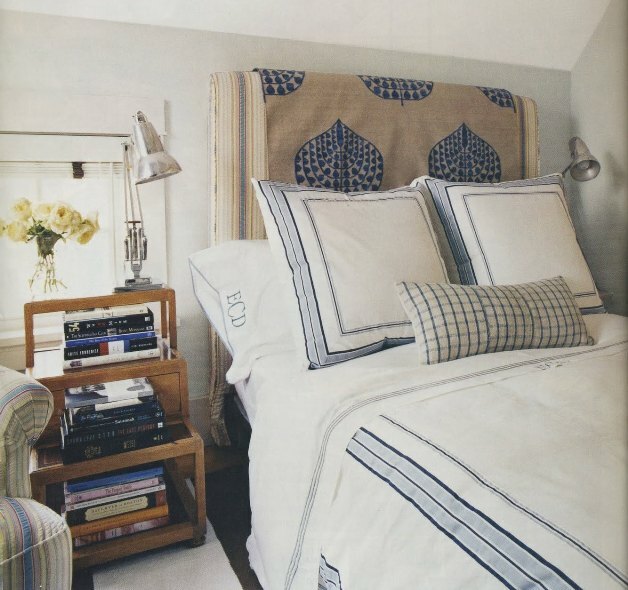 Love all the pillows in these images! The last room is our favorite with the beachy accessories.